A reliable source for EMI Shielding information and a resource for accessing leading EMI Shielding and suppliers. Typically manifesting as an enclosure, signal or coating, EMI shielding is a service provided in order to prevent or block electromagnetic interference. Spira Manufacturing Corp. offers the most reliable EMI gaskets & shielding for the electrical / electronic industries to meet required EMC/EMI shielding regulations. 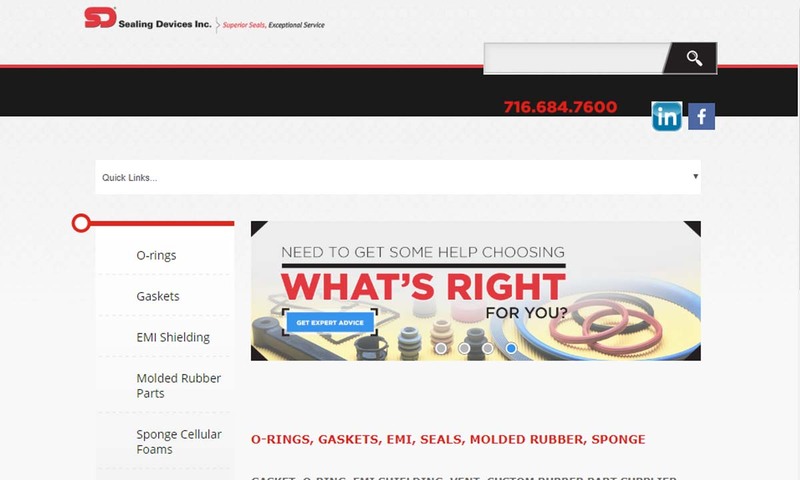 Sealing Devices is a leading North American distributor and fabricator of EMI shielding products, including conductive elastomers, Soft-Shield® low closure force gasketing, windows, conductive adhesives, formed-in-place parts, vents and elastomers. 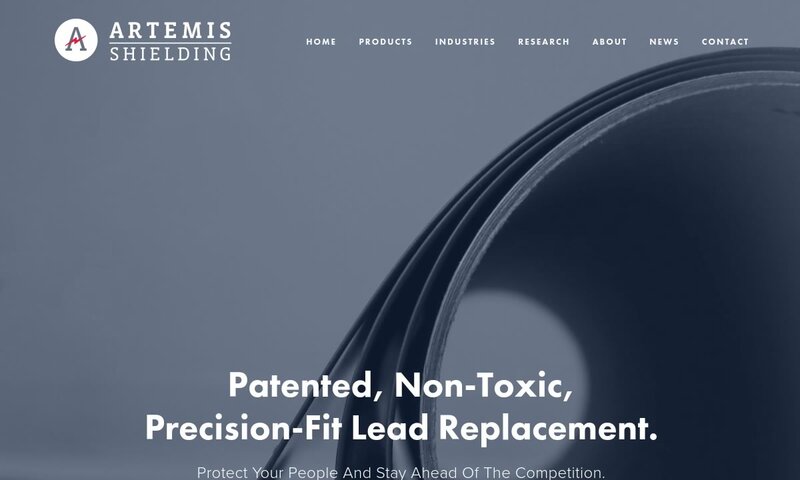 Based in Fort Payne, AL, Artemis Shielding is a manufacturer of radiation shielding components. Our products and materials include custom cabinets, RSM roll, X-ray gypsum, custom security curtains, and much more. At Artemis Shielding, you’ll find products where protection meets performance. Since 1995, we have manufactured high-quality and conductive fabrics that protect people and equipment from electromagnetic interference (EMI) and static discharge. 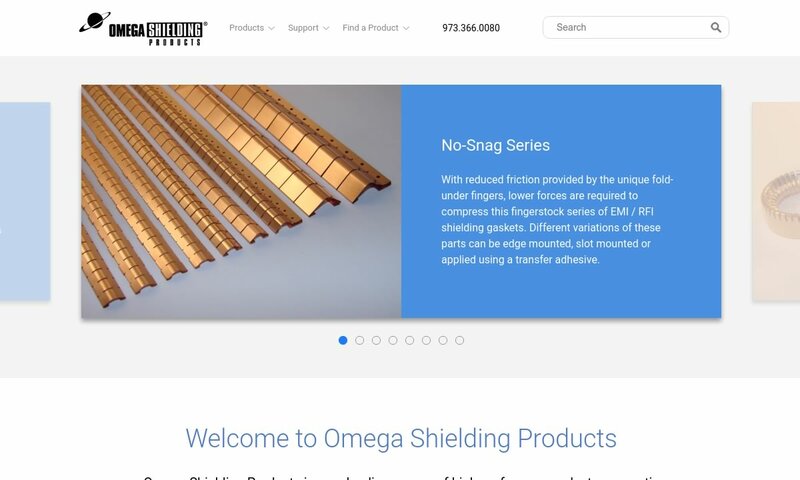 An ISO9001:2008 certified manufacturer of EMI shielding and RFI shielding products, Omega offers an extensive line of EMI gaskets, rings and more to meet your specific needs. EMI shielding, also known as radiation shielding, was developed to protect vulnerable equipment and devices from the influence of EMI and RFI. It creates an electromagnetic shield layer or barrier around the components, so that they will not absorb outside magnetic interferences or emit their own to the detriment of others. Any industry that uses modern communication devices have EMI shielding applications. Some of the most prominent examples include: consumer electronics, communications, aerospace, automotive, medicine and healthcare and military and defense. Whether or not we are cognizant to it, EMI and RFI shielding products are a part of our everyday life. For instance, cable wires use simple metallic shells as shields. CPUs and circuit boards all use EMI coatings or EMI enclosures to limit interaction between the electromagnetic fields (EMF) that they individually generate. (For this reason, EMI/RF shields may also be known as EMF shields.) CPUs include but are not limited to desktop computers, laptop computers, tablets and more. In addition, all mobile phones give off RFI that must be blocked. EMI shielding service products include: EMI enclosures, EMI coatings, EMI filters, EMI gaskets, RF filters and conductive filters. EMI enclosures, also called faraday cages, work by surrounding, or enclosing, the equipment it is shielding. EMI enclosures can be solid, but this is not a necessarily a requirement; if an application allows for it, they may also be made of perforated metal. The only stipulation is that the metal holes must be smaller and closer together than the electromagnetic waves they are blocking. To visualize this, picture a microwave oven, which utilizes them. Each wall within the microwave is made of a perforated metal sheet. These sheets stop microwaves from escaping while allowing just enough light to pass through for us to see in. EMI coatings provide flexible shielding. It is made when manufacturers join a carrier material to a conductive metal, such as copper, chromium alloys or nickel, in order to form a metallic ink. Shielding service providers then spray this coating onto the inside of non-conductive enclosures, on wires and on interior of other electronic device housings. In addition, EMI coatings can sometimes be brushed on or painted. An EMI filter is a passive electronic device that suppresses EMI created and emitted by surrounding electronic devices and equipment. EMI filters are specifically used to block the incoming and outgoing non-RFI interference that is conducted through power lines and signals. They can also shunt high EMI frequencies to allow normal and low frequencies to come and go. To do so, they are usually integrated into or attached to the switch or power source that they are shielding. EMI gaskets are made from electronically conductive rubber materials as well as, frequently, EMI shielding metals. They prevent the leakage of EMI into or out of the seams and gaps of enclosures. 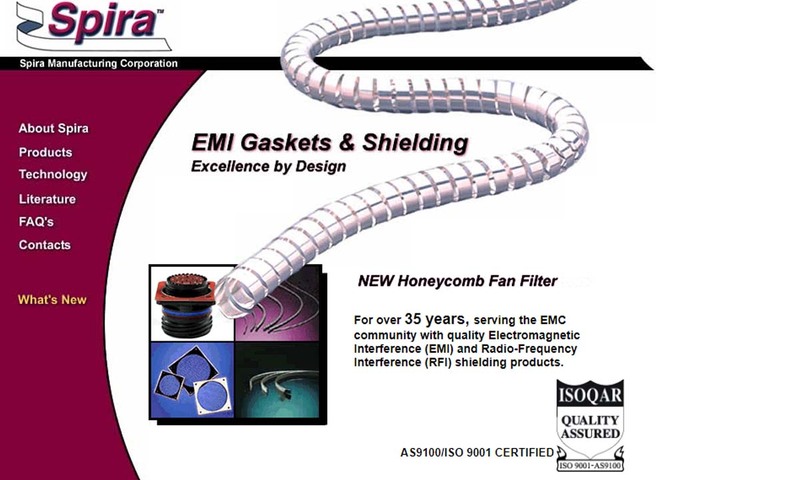 EMI gaskets are a newer addition to the EMI shielding family, who offer more potent protection from those radio frequencies that are ever increasing in strength. RF absorbers, also known as radar absorbers or microwave absorbers, focus on RFI protection. To do their job, they absorb the energy before it can penetrate the equipment. 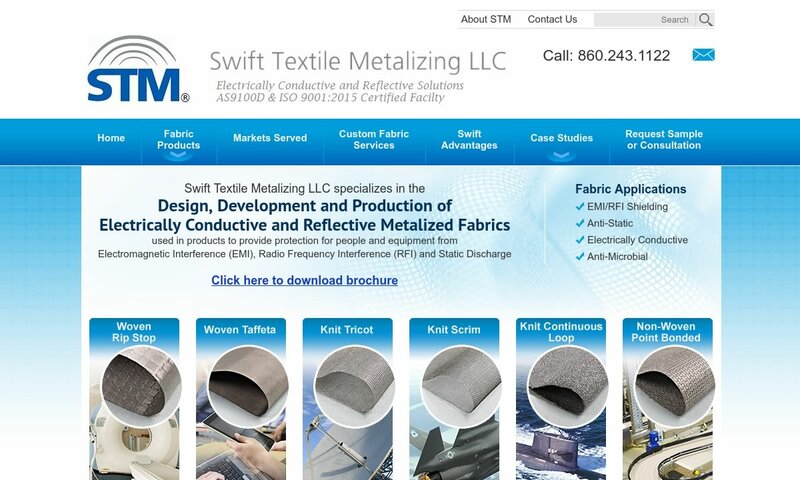 Conductive fabric, also known as metalized fabric, is not fabric in the traditional sense. Rather, it is a shielding type made from a fabric substrate (ex. 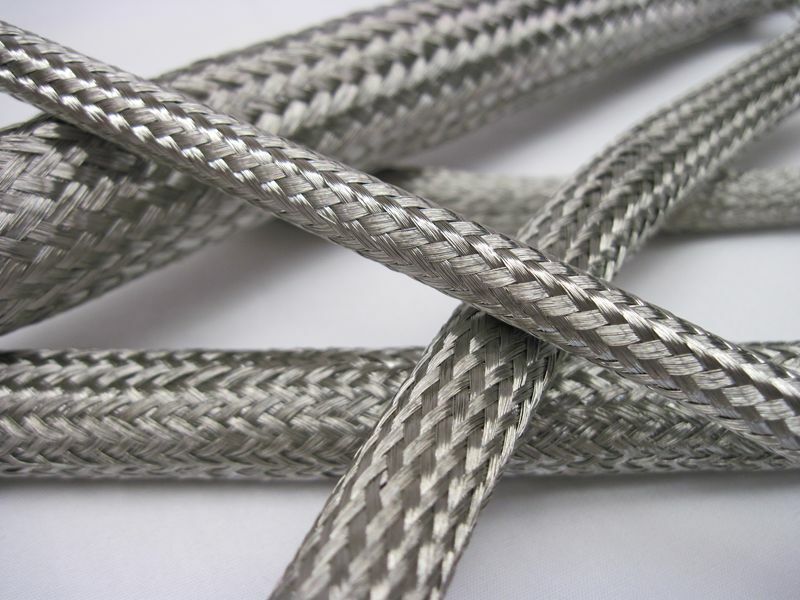 nylon, polyester) combined with metal, or metal alone. It also sometimes features an elastomer core that helps it compress and increase its deflection range. Conductive can be knit, woven or nonwoven. A common example of conductive fabric is knitted metal wire mesh. Conductive fabric applications are quite diverse. For example, can be hung as a protective tapestry for an entire room, or it may be cut for use as a gasket element. EMI shielding originates with the Faraday cage. In 1836, its namesake, Michael Faraday, piggybacked off of Benjamin Franklin’s 1755 discovery that you can block electric charges. Faraday built the first Faraday cage as a room, coated completely with metal foil. To demonstrate that the foil would shield the interior from an electric charge, he then got an electrostatic generator to create high-voltage discharges outside of the room. Just as he hypothesized, the inside walls collected no charge. About a century later, after radio technology had become quite big, the powers that be decided it was time to start addressing the burgeoning issue of EMI and RFI. During a meeting of the International Electrochemical Commission (IEC) in Paris, members proposed the formation of what became CISPR (International Special Committee on Radio Interference). This was the first regulatory committee of its kind. It crafted most of those EMC (electromagnetic compatibility) regulations in place today. In 1979, the United States began enforcing EMI regulations, and the European Union followed suit in the mid-1980s. Since regulatory boards started taking notice, EMI and RF/RFI have become more prevalent and pervasive in our world than ever before. Not only do we use more electronic devices now, but those devices are much more sensitive and prone disruption by EMI noise than ever before. To match the need for more and better EMI shielding, scientists and engineers have developed shielding materials that are stronger and can be applied to smaller spaces. There are a wide variety of materials used to create EMI and RFI shielding. However, the EMI shielding process requires a conducting surface, so it uses almost only metal. Those metals used for shielding services must also have high magnetic permeability and good magnetic energy absorption. While copper, steel and steel alloys, aluminum and nickel are all commonly utilized shielding materials, the industry standard is an alloy called MuMetal®. Similarly, EMI enclosures are generally constructed using solid or perforated stainless steel, nickel, copper alloy or aluminum. 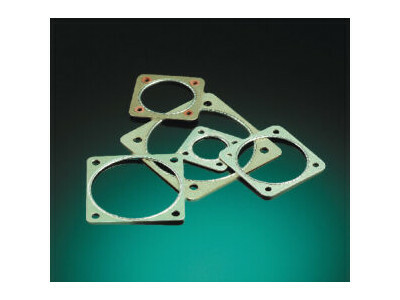 Usually, gaskets are die-cut pieces made of electrically conductive rubber materials, attached to an EMI shield. Copper is an excellent and incredibly common magnetic shield material. Shielding providers value, it for its effectiveness at blocking and reducing EMI and RFI, and its great formability. Its only drawback is that it costs more than others. Steel metal traditionally valued for its strength and durability. As a shielding material, though, it is more valued for its permeability, as it allows it to effectively block low-frequency EMI. This is especially true of stainless steel and carbon steel. In EMI shielding, aluminum is valued for its characteristics of non-ferrous-ness, lightness and high conductivity. Nickel is a popular shielding material that is valued for its: magnetism, durability, hardness and electrical conductivity. It can be utilized a few different ways. First, it can be used alone as a shield. Second, it can be part of an alloyed electromagnetic shield material. MuMetal® is an alloy that features metals including iron, copper, nickel and molybdenum. Offering the highest level of EMI/RF reduction out there, it also has very high magnetic permeability. The conductive rubbers used in EMI/RFI shielding include silicone and neoprene. Silicone is known for its ability to maintain its flexibility, tensile strength and resilience in the face of a wide range of temperatures. Meanwhile, neoprene is known for its good compression and general usefulness. It stops EMI and RFI from entering or exiting a certain region by creating a barrier from magnetic or conductive materials. As though it were under a dome, a shielded device is isolated from everything outside. External electromagnetic fields cannot infiltrate the device, and internal electromagnetic fields cannot escape to affect other sensitive equipment. When designing an EMI shielding device, manufacturers consider a number of different application factors. These include: required flexibility, required shield effectiveness, application scope and size, device/equipment shape, device/equipment sensitivity, EMI/RF strength and industry/region standards and regulations. Based on these considerations, they make standard and custom shields that range from solid to perforated (with varying hole sizes), one piece to multiple pieces, enclosure to spray, and more. Similar to EMI shielding are a few different services, most notably among them vacuum metallization. Vacuum metallization is an emerging EMI/RF shield alternative that involves depositing conductive metal condensation onto a substrate. To do so, manufacturers heat the metal inside a vacuum chamber until it starts boiling. Once boiling, the metal begins dripping condensation onto the substrate, which eventually dries, forming a protective layer. EMI shielding provides customers with innumerable advantages, among them: health protection, improved equipment performance, durability and sustainability. First, EMI shielding offers the distinct benefit of protection humans EMI exposure, and the potential health problems that come along with it. These problems range from the irritating to the debilitating. Examples include: tingling sensations, human tissue heating, eye damage and burns. In addition, there is concern over the long-term effects of EMI/RFI exposure, such as the possibility of cancer. EMI/RF shielding services also greatly improve the performance of your electrical devices and equipment. They don’t only prevent malfunction, but they improve efficiency and slow degradation. Next, EMI shielding is long-lasting. As time goes on, the investment will only prove more valuable. Finally, EMI/RF shielding (aside from coatings) is recyclable. In addition to contributing to sustainability, this lowers your costs. EMI shielding is an essential service, and a good service provider is equally essential. In this climate of information overload and extreme competitiveness, though, it can be hard to discern who the best EMI shielding provider might be. The search can be quite confusing. Fortunately, you’ve come to this page. Here, we’ve compiled for you a list of several knowledgeable, skilled and customer-oriented EMI shielding companies.  Our comprehensive list also features company profiles, contact information and website links. All of those whom we list are excellent electromagnetic shielding product manufacturers and suppliers. However, not every single one will be right for you. To figure that out, we recommend you peruse each of their websites and study the products and services they offer. Select three or four to whom you’d like to speak more, and then reach out to them individually. Discuss your application at length, making sure to touch on things like: lead times, budgets and standard requirements. After you’ve spoken to each of them, choose from among the one you believe will best cater to your needs. Then, send a request for a quote or give them a call, and get started. Good luck!